Positive signs for buyers planning to purchase a new home in early 2019 shone through in the last quarter of 2018, with the east central area of Scotland seeing a 23.9% YOY increase in new homes brought to the market. Edinburgh itself experienced a 14.7% YOY increase. A 9.2% rise was recorded in the number of homes sold in east central Scotland during this period, most probably due to the increase of homes brought to the market coupled with a strong demand. The average selling price of homes for east central Scotland rose from £234,203 in the last quarter of 2017 to £244,437 for the same period 2018 (4.4% increase). Edinburgh’s average selling price experienced a sharper rise at 5.7% to £267,249. The areas to see the largest increase in average selling prices between October and December were Blackhall, Davidson Mains, Silverknowes, Cramond, Barnton and Cammo in 3 bedroom houses, which rose by 23.5% to £401,131 YOY. Two bedroom flats in the New Town and West End of the capital recorded a 20.4% increase in average selling price for the last quarter YOY, to £428,255. In contrast, Dunfermline saw a 9.2% increase (to £175,604) whilst the Scottish Borders experienced an 8.8% rise (to £223,189). The areas with the shortest average selling time in the last quarter of 2018 were Portobello and Joppa with two bedroom flats, which recorded only 13 days. Leith’s two bedroom flats achieved the highest sales volume during this period. 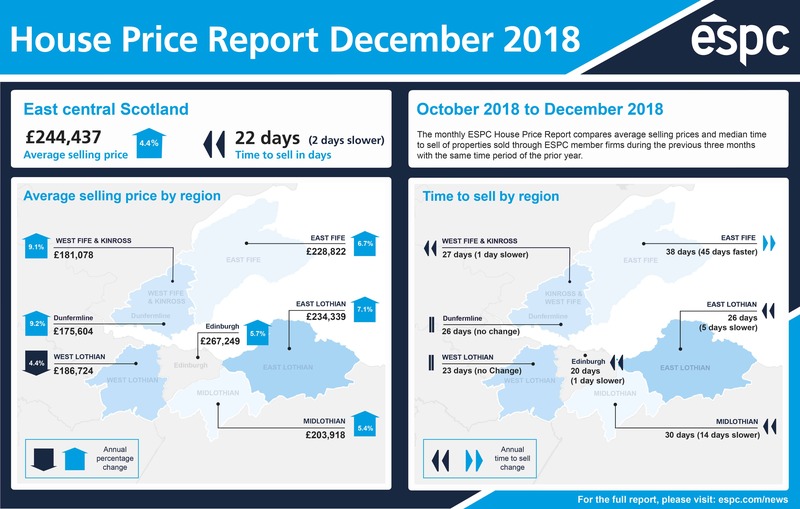 The median selling time for east central Scotland between October and December 2018 was 22 days compared to 20 days the same time last year. During the last quarter, homes achieved 103.3% of their Home Report valuation on average, compared to 103.7% for the same period 2017. 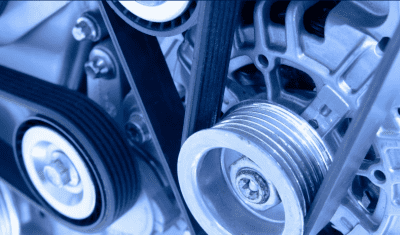 With positive signs in east central Scotland’s selling market, what will 2019 bring to the market as a whole?